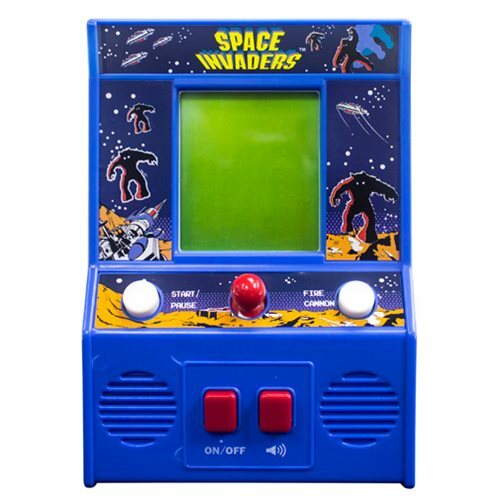 Relive those days of arcade gaming with this Space Invaders Mini Arcade Game! Enjoy Space Invaders with authentic arcade sounds and use the classic joy stick to shoot waves of aliens! Take Space Invaders everywhere you go with the Space Invaders Mini Arcade Game. Measures about 5 3/4-inches high x 4-inches long x 2-inches deep. Requires 2x "AA" batteries (included). Ages 8 and up.